Search for flights to Miami at the best time and you could find the cheapest deal for your next vacation. Travel trends can help you predict when is the best time to book which gives you a great chance of making savings on your airfare. Flexible on when you can fly to Miami? We’ve looked into 2018 data to recommend the best months to travel to optimize your savings. Avoid waiting until the last minute to book your flight to Miami. 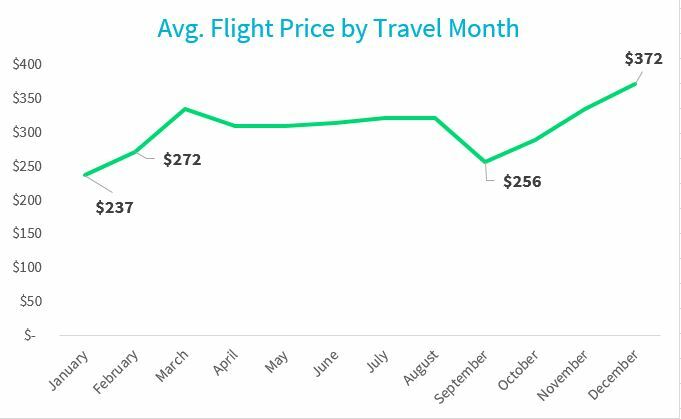 In 2018, flight prices jumped from an average round-trip price of $311 to $332 within the few days before the flight departed. Below is a breakdown of the best time to book flights for popular routes to Miami. 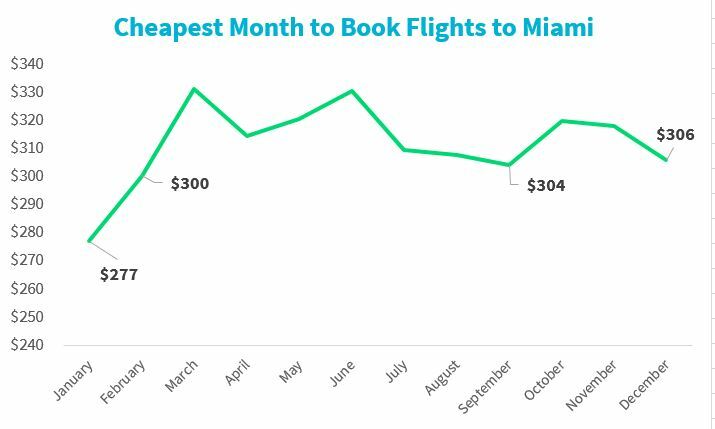 For many cities, September appears to be the best month to visit Miami if you’re looking to save on your flight. Travelers arriving in Miami will discover an enchanting city with a vibrant nightlife, distinctive personality, endless sunshine, pristine beaches and fashionable hotels. As one of the most popular cities for summer vacations, you can find cheap flights to Miami direct from cities across the United States including New York, Atlanta and Chicago. Most visitors fly to Miami International Airport, a key travel hub for the South Florida region. Use Skyscanner to confirm the best time to book flights to Miami . If you enter the origin and destination airports, use the “whole month” search button so you can compare flights across a number of days. You can also select the Cheapest Month option to see the best flight prices available in the year. The more flexibility over your dates leads to more opportunity to find the best deal available. Search results will allow you to compare all options for your travel by factors like number of connections, flight time and price. Improve your chances of finding the best time to book flights to Miami with a Skyscanner Price Alert. This free service allows you to receive emails or push notifications to your mobile device to notify you when the price changes on the route you have selected. This is one of the tools available on the Skyscanner website to help you find the best deal for your next trip.